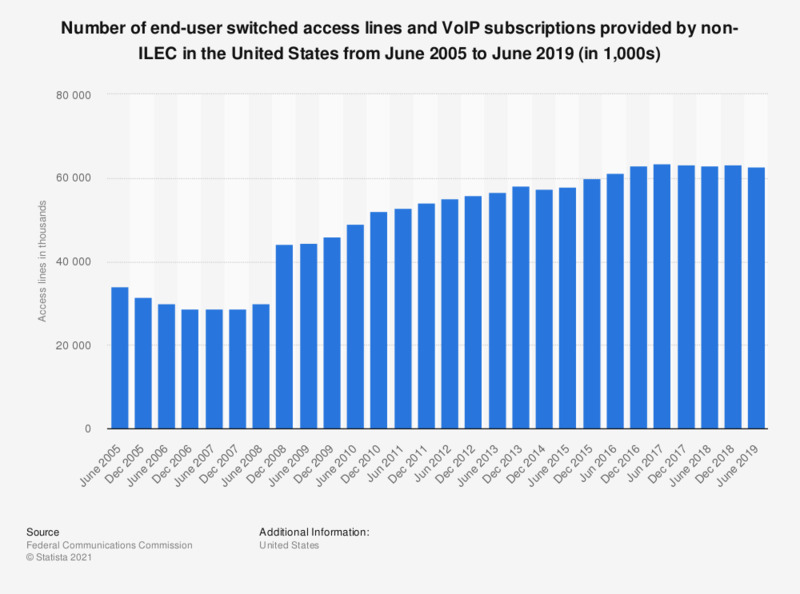 The statistic depicts the end-user switched access lines and VoIP subscriptions provided by non-ILECs in the United States between June 2005 and June 2017. In June 2017, there were approximately 63.4 million end-user switched access lines and VoIP subscriptions provided by non-ILECs in the United States. ILEC is an acronym for Incumbent Local Exchange Carriers. VoIP is an acronym for Voice-over-internet-protocol.